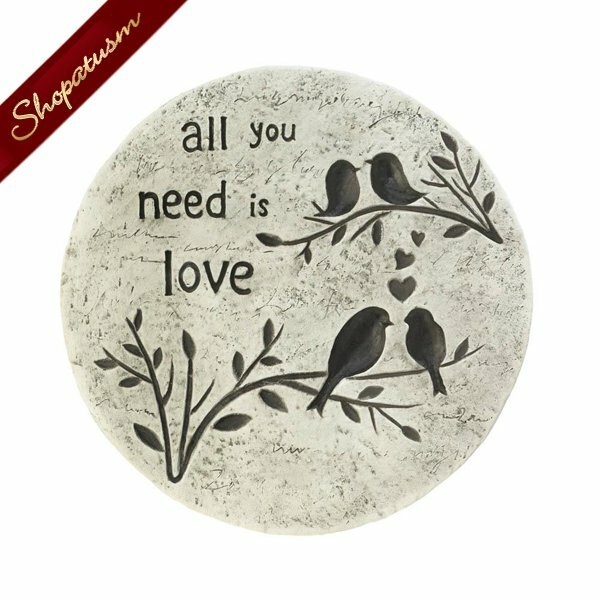 All You Need Is Love Stepping Stone, Cement Garden Stone, Yard Art from Shopatusm. This flock of birds is ready to impart timeless wisdom to your garden or outdoor space. This lovely cement stepping stone features four little birdies on branches and the phase, "All you need is love". Cement. Measurements: 9.75" x 9.75" x 0.75" High. Weight: 3.2 pounds.